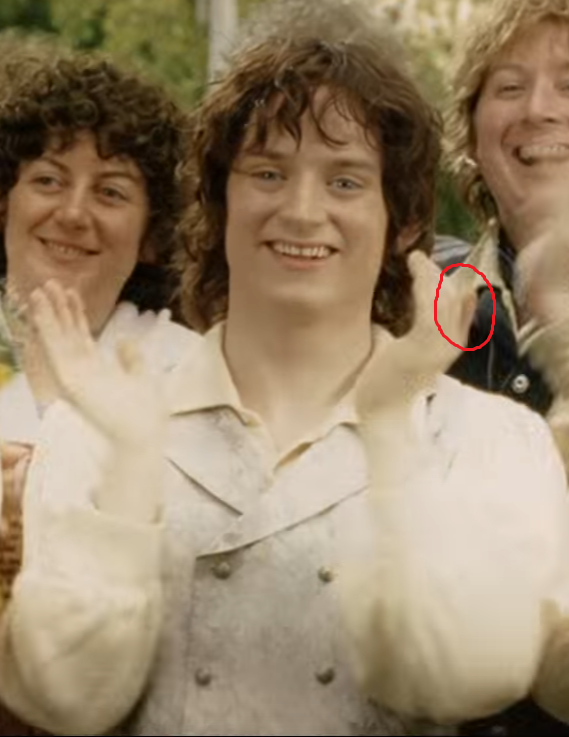 In the Return of the King film, Gollum bites the finger off Frodo. 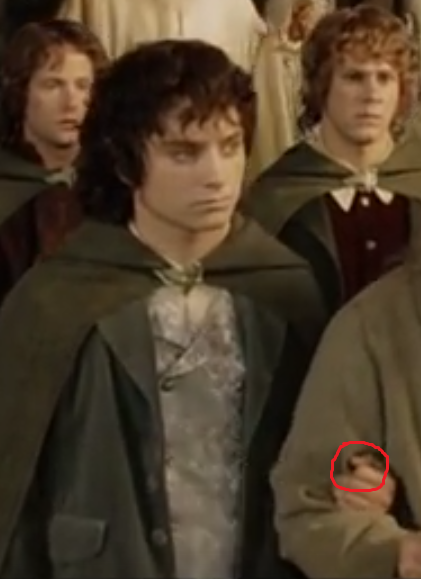 In later scenes, like the Coronation of Aragorn and Leaving the Shire, we see that Frodo has gotten the finger back. How is this possible? 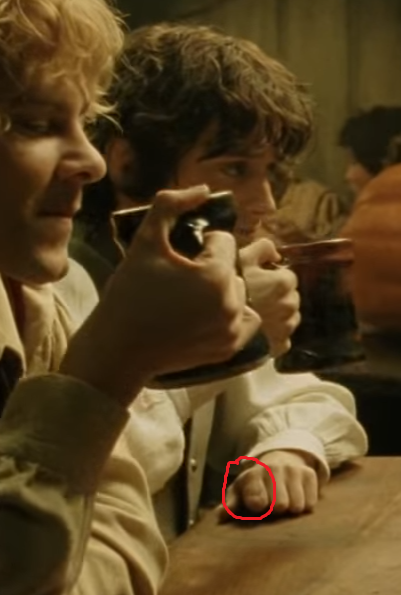 How did Frodo get his finger back? 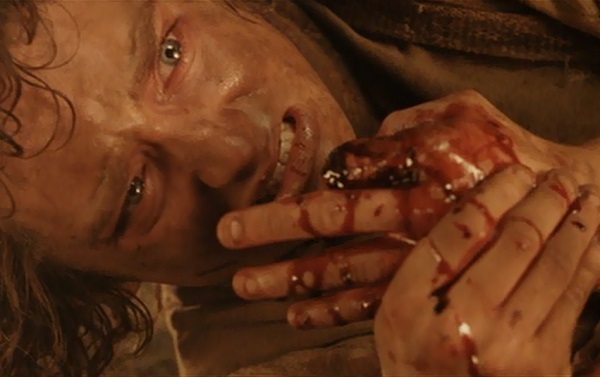 [Sam] sat up and then he saw that Frodo was lying beside him, and slept peacefully, one hand behind his head, and the other resting upon the coverlet. It was the right hand, and the third finger was missing. 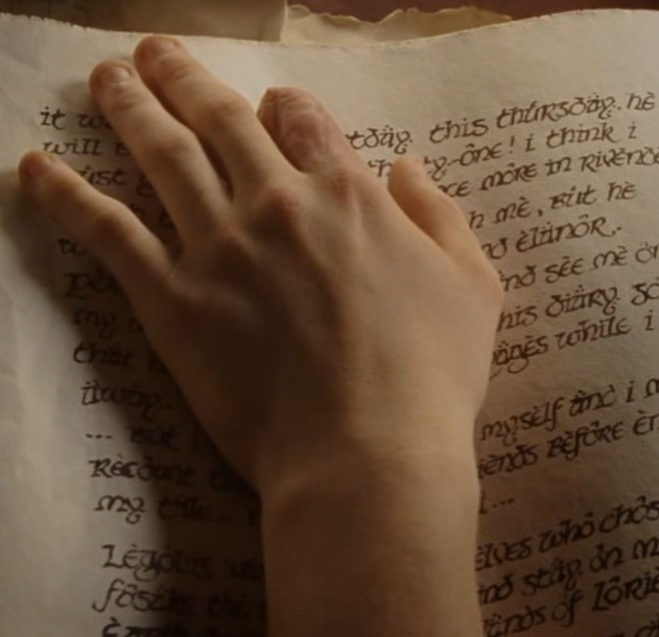 Return of the King Book VI Chapter 4: "The Field of Cormallen"
However, even here it's clear that the intent is to show the finger having been removed; this, as with any later shots where the finger is visible, is just a production mistake. How can an old dead tree suddenly spring to life and cast its petals on Aragorn's coronation? 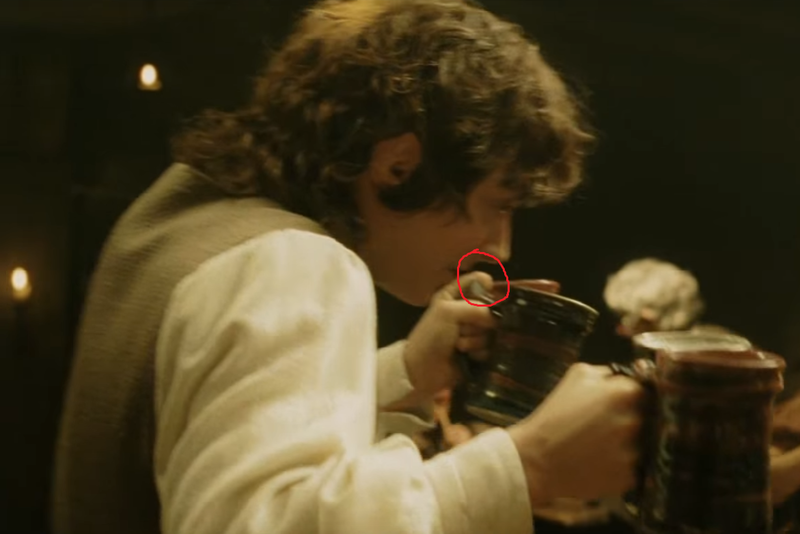 What is the stone structure that Frodo and Sam are sleeping in? 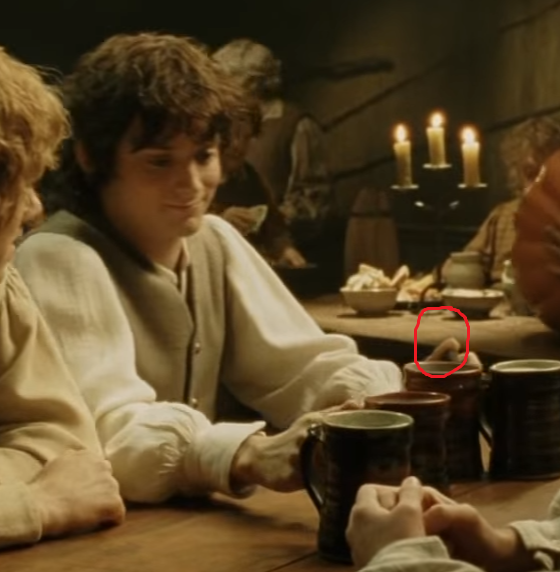 What was the white gem Frodo wore?